The issue of internet voting is one of the more testing ones currently faced by election administrators, not least because of the diversity of views which it generates. Proponents of such a use of the internet see it as a potentially powerful, and perhaps inevitable, way of enabling electors, or certain categories of electors, to vote in a convenient and efficient way. In the long term, it holds out the revolutionary prospect that the classical vision of direct democracy could be realised, with voters being able to make fast collective decisions on a wide range of issues. 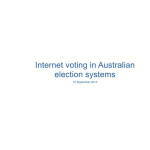 Opponents of internet voting see it as giving rise to major risks to the integrity of electoral processes. There is a large and rapidly growing literature on the subject. 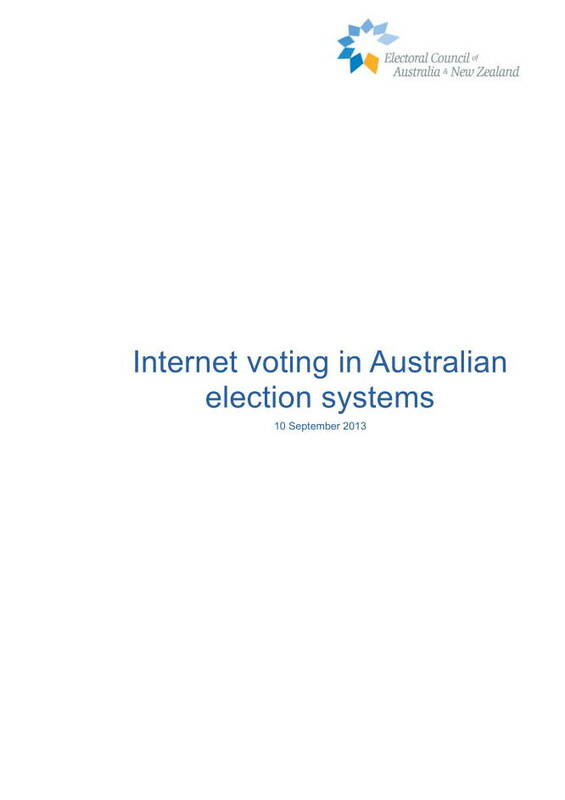 Posted in Asia Pacific, eGovernment, Federal, Governance and tagged AEC, Australian Electoral Commission, categories of electors, democracy, election administrator, electoral processes, internet voting, literature, revolutionary prospect.